The secret to a perfect application is having the perfect brush. 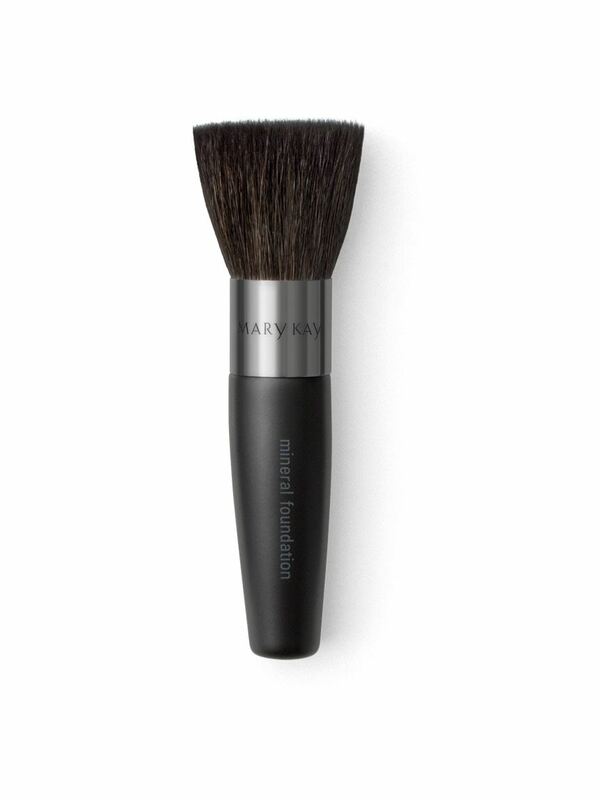 The bristles of the Mary Kay® Mineral Foundation Brush are made of soft, natural hair that let you pick up a precise amount of powder, releasing it evenly as you sweep and swirl. The bristles also are short and flat across the top, so you can easily customize the level of coverage. Plus, the handle is the perfect size for maximum control. Step 1: Shake to dispense Mary Kay® Mineral Powder Foundation into sifter. Step 2: Lightly dip the Mary Kay® Mineral Foundation Brush into the powder and tap on the rim of the jar to remove excess foundation. Step 3: Swirl your brush inside the foundation's lid to work powder into the hair of the brush. Step 4: Apply a thin layer of foundation starting at the center of the face and working your way out and up toward the hairline and jawline, blending well. Step 5: Repeat Step 4 to get the level of coverage you want. Remember to use several thin layers instead of one heavy layer to achieve a natural look. The Mary Kay® Mineral Foundation Brush was specially designed to enhance mineral powder foundation application and to ensure you get the look you want. The short, dense bristles are designed to grab the mineral powder foundation and evenly distribute it over all facial contours.